When Bosch asked if I wanted to review their latest 12 volt pocket driver, I just had to say yes. 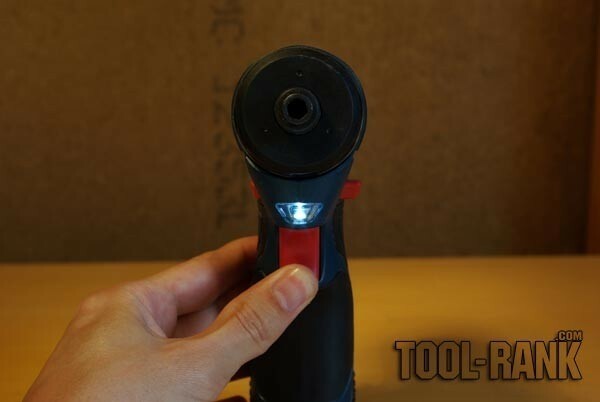 I asked the Tool-Rank readers not long ago if they thought 12 volt tools offered enough power, and now I would be able to see this for myself. 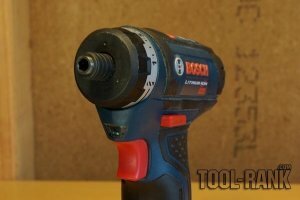 It is weird that in the relatively short life of cordless tools we have come far enough that instead buying tools wanting excess power, we are looking at smaller tools with enough power. Why buy a tool that can drive a 6” lag bolt, when we only need to drive a 3” deck screw? This change in mindset not only saves us money, but it also cuts down on the weight of our tool bags. Lets jump into the review of the PS21. 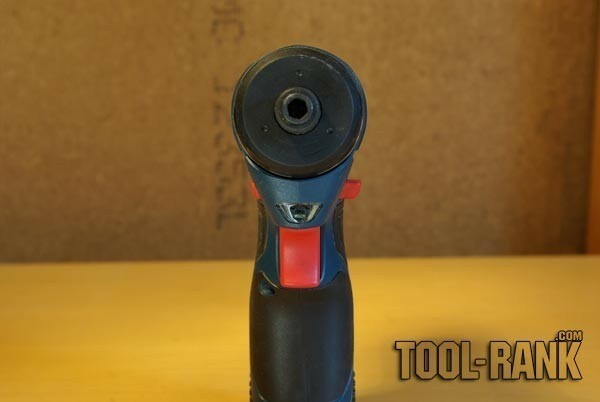 The first thing to note is that the PS21 uses a 1/4” hex quick connect chuck just like an impact driver, but the PS21 is in no way a cordless impact. The use of this type of chuck is part of the reason the PS21 is so compact. This is only part of the reason though, because as you can see from the photo (below), the new PS21 is significantly smaller then the previous PS20 driver that uses the same type of chuck. In the past a hex chuck could have been a problem, but now you can pick up both hex driver bits and drill bits in just about any tool store. 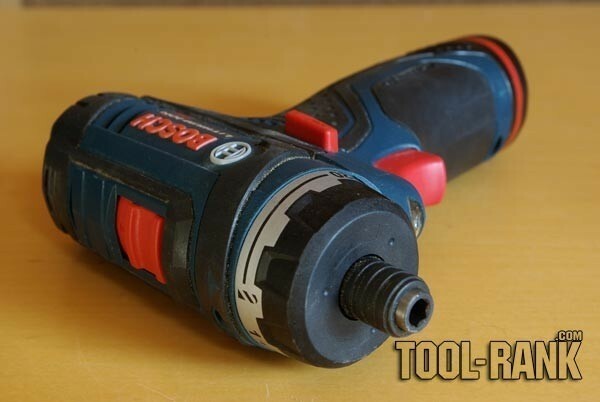 If you did want a 12 volt driver with a regular chuck, you could always buy an adapter which would increase the tools length, or you could check out the Bosch PS31 that uses a regular chuck, but is also a bit longer. The PS21 is pretty darn comfortable in hand, and how could it not be? It is so small and light you hardly notice it, but not small enough that it is hard to handle. Both the trigger switch and the directional switch are easily accessible no matter which hand you are using and are both big enough for even the fattest of fingers. The PS21 is called a pocket driver, so when I wasn't using it, I kept it in the pockets of my tool bags. At only 1.8 lbs the tool weights about the same as a pocket full of screws, and therefore evened out the balance of my tool bags nicely. So to answer my own question. Is 12 volts enough power? For 80% of what I do, yes. Would I buy this tool for myself? Probably not, for the simple reason that I would still need my 18 volt drill for drilling large holes that require more torque. That being said, this is a great tool and I would recommend it to anyone that doesn't need to use a hole saw.The power to weight ratio on the PS21 is great. Bosch was able to get the 100 lbs of torque from the PS20 up to 265 lbs of torque on the PS21 with the addition of a 2 speed transmission and some other “magic”. If you are looking to upgrade your 12 volt pocket driver, you should notice a big difference. I tested the PS21 during a few weeks of work at a local hotel remodel and was able to get a good idea of what the driver is capable of. Screwing from the smallest of screws up to 3” deck screws was not a problem. I would not recommend using the PS21 to drive 3” screws all day because you will wear down the battery quickly, but the driver has enough power to do it. It had no problem drilling the occasional 1” hole with a paddle bit and I could probably go even larger if needed. The Bosch PS21 kit comes with a carrying case, two batteries, and a 30 minute charger. The carrying case is the only bad thing about the kit. Sure it works well enough to carry your tools, but there is no place to put your drill bits, driver bits, etc. At around $130, the PS21 has a lot to offer at a very low cost and should be at the top of your list.